The bodies of two women and a man were recovered from Beachy Head on Saturday (August 11). Coastguard teams were called to the foot of the cliffs just west of the Belle Tout lighthouse at around 2pm, where two women’s bodies were found. They were recovered later in the afternoon and transferred to an RNLI lifeboat to be taken to Eastbourne, said Sussex Police. While this operation was taking place, a third body - that of a man - was located near the Beachy Head lighthouse. People taking part in an annual walk to the lighthouse saw the coastguard helicopter fly overhead and Coastguard teams and members of the RNLI on scene at the beach. The body was recovered by coastguards and also transferred to Eastbourne by lifeboat. Police say they believe they have established the identities of the man and one of the women, but they had not been formally identified on Monday morning (August 13). 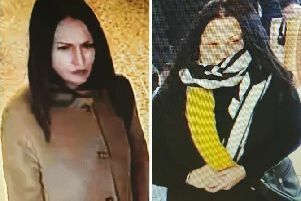 Enquiries are continuing to identify the second woman. Police say there are no suspicious circumstances and the matter has been passed to the coroner’s officer. A spokesperson for the Maritime and Coastguard Agency confirmed to this newspaper that teams were on scene assisting Sussex Police.